Laminated documents are waterproof, tear proof and protected against damage. 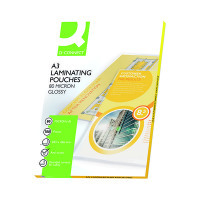 Perfect for archiving, posters or signage, these Q-Connect Laminating pouches work flawlessly with your laminator to deliver professional looking results. 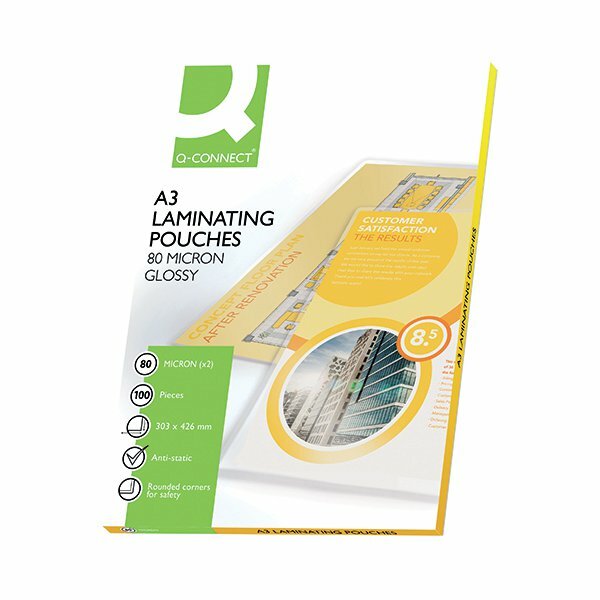 With 80 micron per side and supplied in packs of 100 pouches, this product ensures you have supplies for as long as needed. Q-Connect offer high quality office supplies designed to give your business an effective solution to all your stationery needs. jim durin | the price is excellent compared to everywhere else.